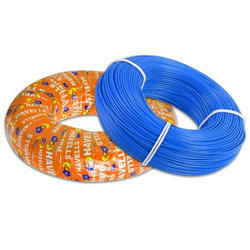 Three core Flat PVC insulated flexible industrial cable for submersible use. 1100 Voltage grade. Application: Co-axial TV cables for Dish to Dish Antenna. Our entity is proficient to provide Havells Power Cable in diverse specifications. our presented products are enormously employed in the market owing to their longer operational life. We offer havells industrial wires & cables, which are the best in quality, and come at reasonable prices. 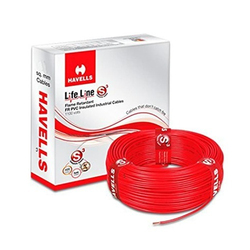 We are offering Havells Electric Cable to our clients.